Technology: Leverages hands-on experience in development methodology, structured programs, vendor utilities, coding, object oriented design methodologies, high level programming languages, application-level firewalls, business applications/component design, and analysis to test application code. People: Functions as an active member of the development team in all phases of the project. May provide technical guidance. Customer:Works with customer as needed to translate design requirements into application solutions. Business:Ensures application(s) contribute to the overall mission of the business and meet applicable standards/requirements. Participates in cross-functional groups to identify and document application functionality requirements, workflow, and information sources. Financial:Performs all assigned activities within the quality, cost, and schedule parameters of the project. Performs necessary quality assurance activities to ensure optimum application functionality. Experience with SFDC Sales cloud & Service Cloud and Customization using force.com APIs ( VisualForce Pages and VisualForce controller API , Workflow and triggers, Meta Data API , Data loader ). 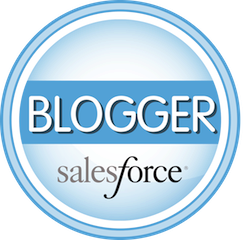 Knowledge on Salesforce Integration with very good communication skills. The candidate should be a Certified by SalesForce ( ADM201 / DEV401- Certification is mandatory). Years Of Experience : 4 - 6 Yrs IT Experience ( 2 year of experience in Saleforce Technology is Mandatory).